Natchitoches, Louisiana's oldest town. 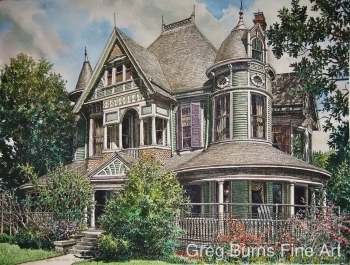 Called Roselawn, built in 1903, a Queen Anne Victorian with sweeping porches and turrets. 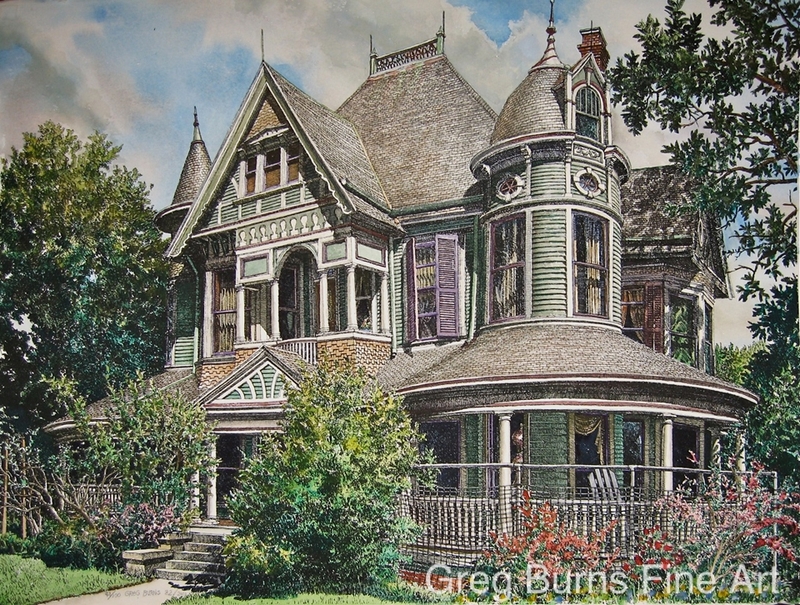 Greg chose this Victorian home to make a hand-pulled silkscreen with Dan Kiacz, Each sillkscreen print in the edition of 100 is hand-watercolored in a different color combination.